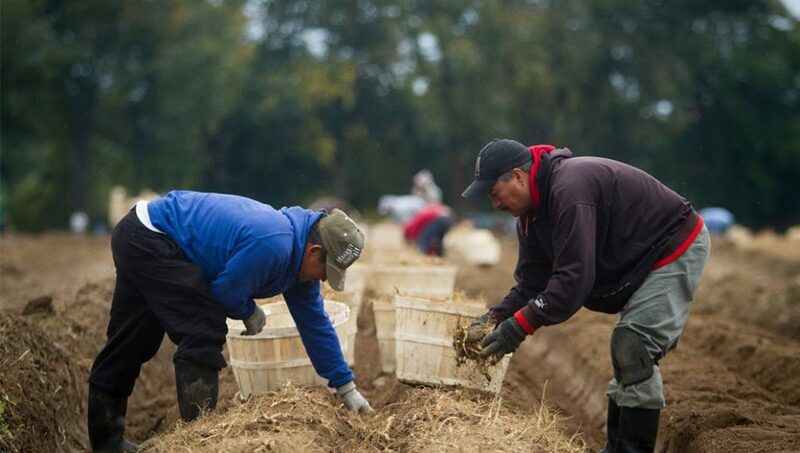 If your farm uses the Temporary Foreign Worker Program (TFWP) through the Seasonal Agriculture Worker Program (SAWP) or Agricultural Stream to fill job vacancies when Canadians do not apply, you will have noticed the number of audits and inspections have increased significantly. According to Employment and Social Development Canada (ESDC) and Service Canada, 2,800 inspections are conducted per year from over 22,000 employers who use the TFWP. The number of factors reviewed has also increased. There used to be three to four key areas reviewed in an audit; now there are 21 factors (conditions) reviewed by auditors and inspectors. These conditions stem from the Labour Market Impact Assessment (LMIA) application, the LMIA decision letter, and annexes. To successfully use the program, you need to know what these rules are, including the key conditions, and work toward compliance before an audit or inspection takes place. In this article, you will find information to help you avoid unintentional non-compliance. You will also be given the information, tips, and tools you need to prepare for a Service Canada audit and inspection. Be proactive: Take time to understand what could be reviewed in an audit and inspection, and work toward compliance beforehand. Be open: Cooperate with your Service Canada inspector and work with them to help the process run smoothly. This will help speed up the process. Be prepared: Confirm what documents will be reviewed and gather all materials so they are ready for the inspection. Take notes: Make sure to take notes regarding the process and keep records of documents and answers provided. On-site inspections with or without advance notice to the employer. The inspector would go to the employer’s worksite to conduct inspection activities, which may include interviews with the employer and workers. Follow-ups may be done by telephone or mail. Whether it is an administrative paper audit or an on-site inspection, employers can be chosen for an audit or inspection because the employer has been randomly selected. Or, a risk-based inspection can be triggered because there is reason to suspect employer non-compliance (i.e. a tip was received), or there has been past employer non-compliance (i.e. employer was found non-compliant in a previous review or inspection). Wages: Proof that wages were paid (direct deposit slips / cancelled cheques / e-transfer, etc.) and are substantially the same as those in the offer of employment and also the same as advertised. Occupation [National Occupation Classification (NOC) code compliance]: Employers have provided each foreign worker with employment in the same occupation as stated in the offer of employment and in the job advertisement. Working conditions (which includes accommodation conditions): Employers have provided each foreign worker with working conditions that are substantially the same as those in the offer of employment. Employer cooperation / document retention / document production: Documents must be retained and provided to auditors and inspectors for a six-year period beginning on the first day of the foreign worker’s employment. *Special Note: If producers want to pay SAWP and Ag Stream workers a bonus, they must ensure that “may pay bonus” is included in advertising, even if the amount of the bonus or the ability to pay the bonus is not certain (tied to production profits). Otherwise, the farm could be found non-compliant, because potential Canadian workers need to be informed of the bonus opportunity. Print and review the 21 conditions to make sure your farm is in compliance for ESDC/Service Canada audits and inspections. Upon arrival at an employer’s place of business, Service Canada inspectors are required to present their identification and communicate the reasons for their visit. A valid Employment and Social Development Canada identification card includes the inspector’s photo, name, ID number, and signature and identifies them as an inspector for the Temporary Foreign Worker Program. You can also verify the identity of the Service Canada inspectors by contacting the Employer Contact Center at (800) 367-5693 (Canada toll-free); hours of operation: 7:00 a.m. to 8:00 p.m. EST, Monday to Friday). Ask the employer and any person employed by the employer any relevant questions. Require the employer to provide documents, examples of which are provided above, and allow the officer to examine the worksite / accommodations provided to the TFWs. Note: inspectors may not ask for any document or record if it is not relevant to compliance with program requirements. Make copies of documents on-site, or require the employer to make copies of documents, or remove documents from the location to make copies. Take photographs and make video or audio recordings of any element relevant to compliance with program conditions. Require the employer to use any computer or other electronic device on the premises to allow the officer to examine any relevant document contained in, or available to, it. Note: inspectors cannot access an employer’s computer themselves and conduct a search for relevant documents. Be accompanied or assisted in the premises or place by any person required by the inspector. Note: inspectors may not enter a private dwelling of an employer without their consent or a warrant. To collect relevant information to verify compliance, inspectors may need to interview the employer, temporary foreign workers, or other workers. If required, the inspector will arrange for translation services or have translation devices. Inspectors will interview workers individually or in groups. In most cases, being selected for an inspection or an administrative review will not impact an employer’s pending LMIA application. An application will only be held in pending status when there is reason to believe the health and safety of a foreign worker is at risk. These cases are prioritized by the Department to ensure the protection of workers and to prevent an employer’s application from being unnecessarily delayed. Once it is determined there is no immediate risk, the LMIA will continue to be processed while the inspection is being concluded. Employers can help reduce processing delays by responding promptly to Service Canada requests for information or documentation. Housing inspection report(s) (if applicable). When it comes to farm business timelines, ask for an extension to the audit. In an effort to minimize any potentially negative impacts to the employer’s daily business activities, the Department does consider the employer’s business hours when scheduling inspections. Throughout the course of the inspection, employers may ask the inspector for an extension of a deadline. This can be done verbally or in writing. Extensions are granted on a case-by-case basis and take into consideration the circumstances for the employer’s request. If you disagree with the inspector, you can request to escalate. Currently, there is no appeal mechanism. However, a farm employer under audit or inspection can “Request to Escalate” their audit or inspection. If an employer feels that a Service Canada inspector is operating outside the parameters of the inspection, they should contact the Employer Contact Center at (800) 367-5693 (Canada toll-free) hours of operation: 7:00 a.m. to 8:00 p.m. EST, Monday to Friday). The information provided by the employer to the Employer Contact Center will be escalated to Integrity Services Branch National Headquarters (ISB-NHQ). ISB-NHQ will take action to respond to the employer’s concerns within 48 hours. The employer will also be contacted by the Department regarding their concerns. If horticultural producers have questions or disagree with an audit / inspection decision, they can also reach out to CHC to help document their case. Download the full TFWP fact sheet, The Temporary Foreign Worker (TFW) Program and compliance regime online at www.hortcouncil.ca.